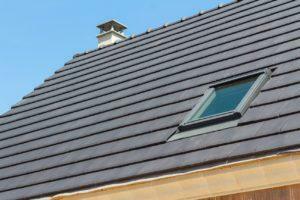 The roofers employed by your roofing company of choice can make all the difference. Skillsets vary widely, and knowing the roofers providing your services have the skills and experience necessary to execute their work with care and efficiency is so important. With more than 20 years as your source for trusted roofers in Lake Oswego, Pioneer Roofers is the local choice when you want a roof that’s built to last. There are a number of things that set our roofers apart. The first is experience. We only hire local roofers who know how to handle and work around wet weather conditions. 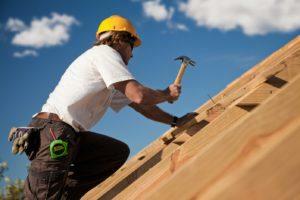 Locals understand the importance of weatherproofing, gradiation for run-off, and how seasonal changes affect your roof. Lake Oswego is home to a wide variety of construction types, and that means our roofers must have the ability to work with different styles. Whether you have a modern new home or older house brimming with character, we’ll provide exceptional craftsmanship that maintains your homes aesthetic and longevity. When they needs roofers, Lake Oswego residents and business owners know we’re the only call they need to make. With the ability to work on any roof type, our Lake Oswego roofers can efficiently and skillfully provide robust roofing services. From tear-offs to installations and repairs, our roofers do it all. No matter what you need performed, what type of roof you have, or how old your property is, we’re your roofer solution. Commercial Roofers – For commercial roofers, Lake Oswego business owners trust us to keep their businesses protected from the elements. We’ll work with you to ensure the smallest footprint occurs during open hours, and your business continues to run smoothly and without interruption. We have extensive experience working on large properties with expansive roofs, and can scale accordingly for timely completion. Home Roofers – No matter what style of roof your home has, we provide full roofing services. This includes roofing on extensions for a matching exterior, and re-roofs that provide you with the long term elemental protection you’re looking for. Your roof is an investment, and skilled roofers provide the best return by giving you the highest quality product available. Flat Roofers – Flat roofs are common on multi-unit structures like apartment buildings. Our Lake Oswego roofers can install secure, well draining, and sound flat roofs. We provide full roof inspection for debris and water damage. Pitched Roofers – These roofs provide great longevity and water resistance, but can be hard to work on. Our roofers in Lake Oswego have the necessary skills to provide great work even when the conditions get rough. With the highest quality materials, whether it’s being built or repaired, we perform work that’s made to last. Patio Roofs – These need to be strong enough to handle activities, and need proper drainage if you choose an eco-friendly garden roof. Our roofers have worked extensively on garden and activity oriented patio roofs. These are customizable and turn your roof into a usable space. When you want roofers in Lake Oswego that provide exceptional craftmanship on a full range of roofing services call (503) 281-0305 or Contact Us today.